The Bicycle Emporium Hire Fleet includes Town Bikes, Road Bikes, Mountain Bikes and Kids Bikes - they even have a Trailer, a tag-along and some Baby seats. They also offer free delivery and collection from Ballina and Lennox Head for hire periods greater than 2 days. 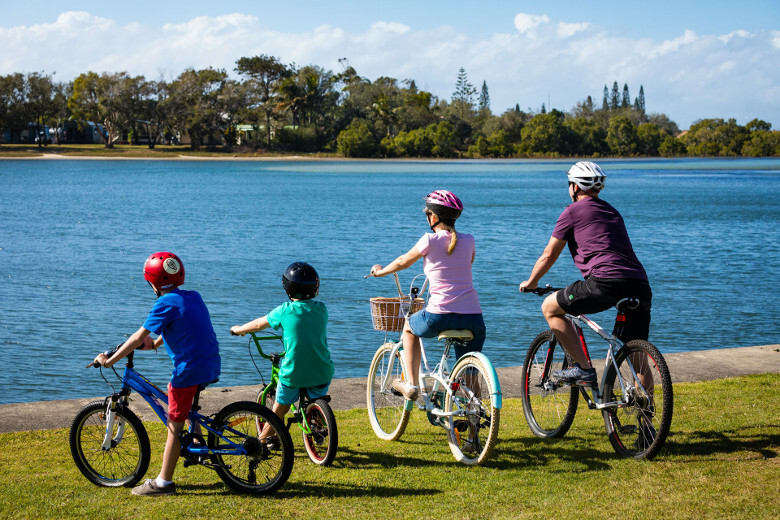 With kilmoetres of flat shared pathways from town to beach, bike hire is a fanatstic way to see all our beautiful waterways and explore our town. Visit their Website for more details or to make a booking.